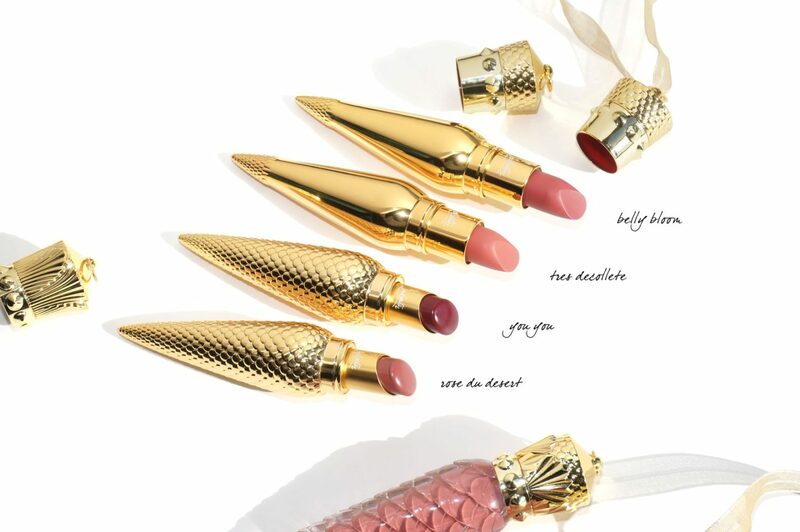 Christian Louboutin makes the most expensive lip products on the beauty market to date. After featuring the signature Louboutin Rouge Lipsticks in all three formulas and the Rouge Loubilaque, an overwhelming number of you have asked me to test out some other shades, in particular some of the neutrals. I ordered six colors sight unseen, split into a few orders as it took me a long time to decide which ones to try (there’s no counter near me to swatch/see). One was gifted to me (You You). The Christian Louboutin Beaute line is all about luxury and the price points of the products are extremely high so I wanted to make sure I picked ones I would actually wear, and wear on a regular basis. Up first are the lip colors. The Silky Satin formula is a smooth medium to full coverage lipstick formula and it’s flawless in terms of application. It’s among the best formulas I’ve tried and has a beautiful natural sheen. The two colors I picked turned out to be similar, had I seen these in person I would have picked different shades, but I’m not disappointed with either one. Belly Bloom is a medium peach cream. Tres Decollete is pinky peach cream on me (looks peach in the tube but pulls a bit more pinkish on my lips). For the Sheer Voile formula I really love the Rouge Louboutin option. It has a lush glossy finish and feels smooth and hydrating on the lips. I felt Rose du Desert would be a good safe color and it is. It’s a natural sheer pink rose that one can wear everyday. The color itself isn’t really unique and for something that looks so natural I think you can opt for one of the YSL Rouge Volupte Shines which seems affordable by comparison. I will say that I don’t have anything quite the same in color among my glossy sheer lipsticks. Had I been able to try this one I would have skipped it because it’s just so SO natural on me. You You on the other hand is a color I find really special as plums like this are hard to come by for me. Most turn fuchsia but this one has the perfect balance of plum and brown in it. I suspect I would have liked the brighter or deeper options in the sheer formula. Up next are the Loubilaques and I picked the 3 lightest colors. Akenana is the most natural beige pink color on me. There is some shimmer in it but on the lips it’s a natural kind of shimmer. I love these kinds of colors so this one is a win for me. Bikini is a neutral-cool pink that has some brightness to it but is still natural. Altareva is similar to Akenana but it pulls a bit deeper and peachy in color with some brown tones in it. The formula has been reviewed in the Rouge Louboutin Loubilaque post, but for a quick recap, these are scented with a lipstick/makeup kind of scent. The pigment is medium to full in coverage with a smooth finish. They come with a sponge tipped applicator. Texture is lush and while it’s not too heavy you can definitely feel it on the lips. They have a very cushiony kind of feel on the lips. If you’re not into any kind of scent or fragrance for lip products you will probably find the scent too strong for you. I don’t mind it and have had no issues. For those curious about the Louboutin lip products I hope you found the swatches in this post helpful. So many of you have asked whether or not the price tag is worth it for these lip products. I really cannot say yes or no. 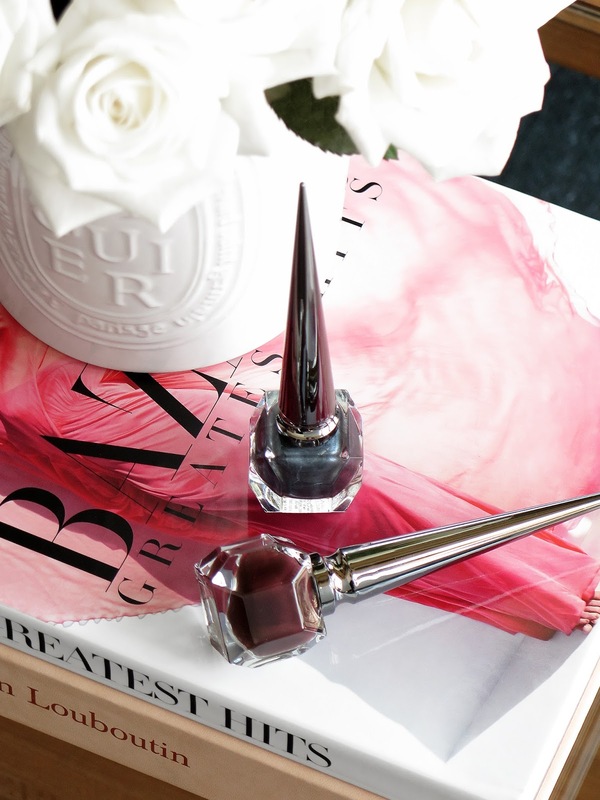 The Louboutin Beaute line is all about luxury and and opulence. As anyone can tell from the price and packaging, it’s not really about being practical. These are packaged as decorative objects almost like ornaments. If you want my own personal take, there are tons of lipsticks at price points I don’t think are justified ie Tom Ford, Cle de Peau Beaute, By Terry, even Chantecaille. Yet I’ll still indulge in some. A $90 lipstick or $85 lipgloss isn’t for everyone. I would say it’s not really for me, heck even a $50 lipstick from Tom Ford is a huge ouch to the wallet. That being said I like what I splurged on. For the Louboutin lipsticks I’m pleased with the ones I bought even if I did end up picking colors that are similar to each other. I like the quality, colors and finishes. I don’t have any regrets but if I were able to see everything in person I would probably have tried to pick shades that were a bit more distinct and different. I 100% love the Loubilaques – I’m more of a gloss person anyways so these fit my personal taste more than lipsticks, although the Silky Satin Lipstick formula is excellent. You can find Christian Louboutin Beaute at Sephora, Neiman Marcus, Saks Fifth Avenue, Net-A-Porter and Christian Louboutin. Have you tried the lip products yet? Did you splurge on any? What were your thoughts? P.S. If you were interested in the perfumes they recently launched, for holiday they have a Perfume Trio Set with minis you might want to check out. Belly Bloom, Tres Decollete, Rose du Desert, Akenana, Bikini and Altareva all purchased by me.